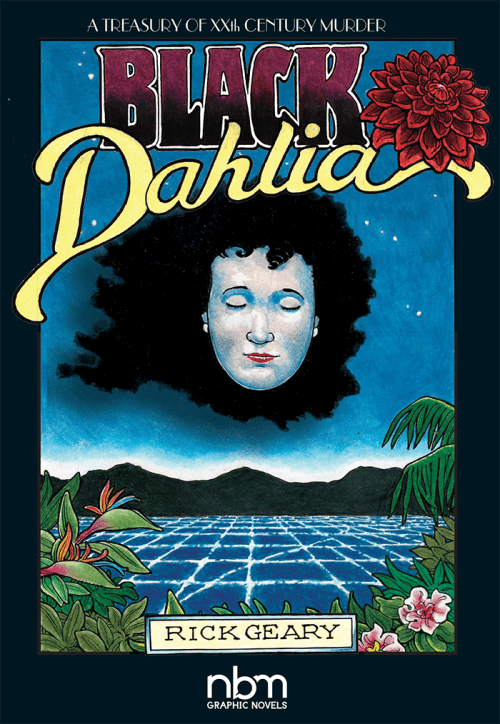 Geary’s Black Dahlia is in stores now! Rick Geary’s latest entry in his now large library of one-of-a-kind Treasury of Murder books is about the famous Black Dahlia case, one which has other books of note on the subject but none like Geary can do! At your comics store since last Wednesday and everywhere books are sold including in e-book form! You can also order from us. Here’s all the info on this. Author NBM Graphic NovelsPosted on November 7, 2016 Categories Blog, New ReleasesTags Black Dahlia, Rick Geary, Treasury of XXth Century MurderLeave a comment on Geary’s Black Dahlia is in stores now! 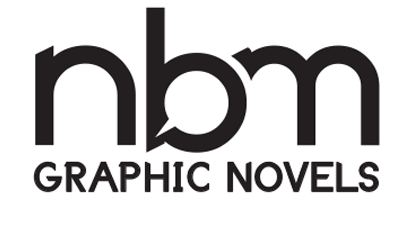 NBM Graphic Novels has announced the release schedule through Winter 2017, including brand new releases from Philippe Chanoinat & Fabrice Le Henanff, Paco Roca, Cyril Pedrosa, Annie Goetzinger & Rodolphe, Michiru Morikawa & Sean Michael Wilson and Sandrine Reveland; biographies of Thoreau, Elvis Presley, and Glenn Gould; and a new volume of A Treasury of XXth Century Murder series by Rick Geary. Two mysterious figures, Mr White and Mr Black, try to win David over to their side: the religious or the humanistic. Deeply sad in parts and comical in others, this modern story explores age old questions: Is there a God? And if there is, does that God care about us? By the author of The Story of Lee. During the 1930s, Maud, an artist, discovers she has a psychic gift. The first signs manifest themselves in the royal gardens of the Trianon where gradually she understands that a woman from the beyond is attempting to communicate with her. 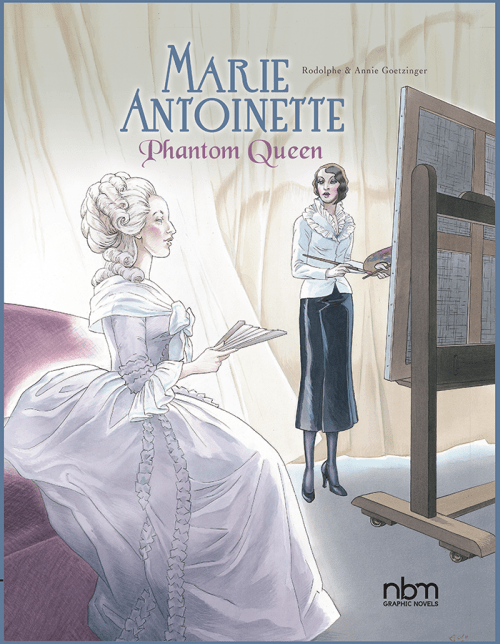 The revelation is beyond belief: it is the ghost of Marie Antoinette appearing to her to share a terrible secret that has tormented her for centuries. After being guillotined, the Queen is said to have been thrown into a common grave but then exhumed and buried with her husband, Louis XVI, in the Saint-Denis basilica. Yet the ghost tells Maud that her remains are still in the pit, on which a chapel stands today. The queen asks Maud to move her body to the right place so she can finally find peace and no longer haunt people. In an equinox, day is as long as night, as if the world found perfect equilibrium between shadow and light, a fleeting equilibrium, similar to the stakes of our human destinies. Segmented into four tableaux for four seasons, unrelated people of all social backgrounds seeking equilibrium cross paths with other solitudes, weaving in and out of one and other’s lives- all captivated and tormented by the enigmatic meaning of life. Every season has its visual identity and its individual voice, culminating in summer and, possibly, an answer. Equinoxes is a unique ground-breaking work of rare intensity and narrative sensibility by a rising bestselling star of European comics. 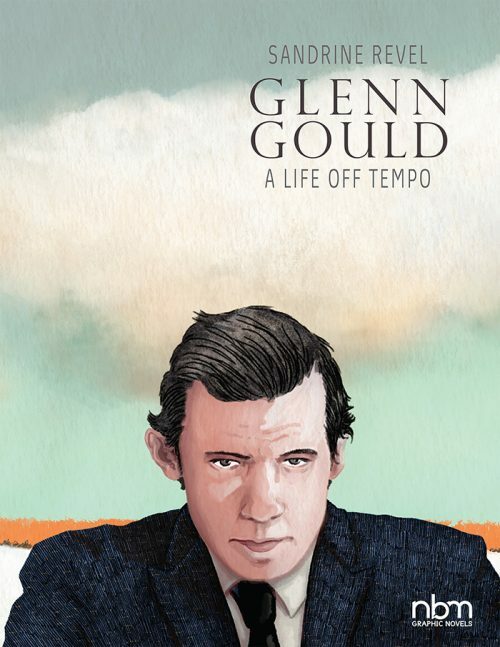 Glenn Gould was a Canadian pianist, a child genius who became a worldwide superstar of classical music remembered for, among others, his almost revolutionary interpretations of Bach. 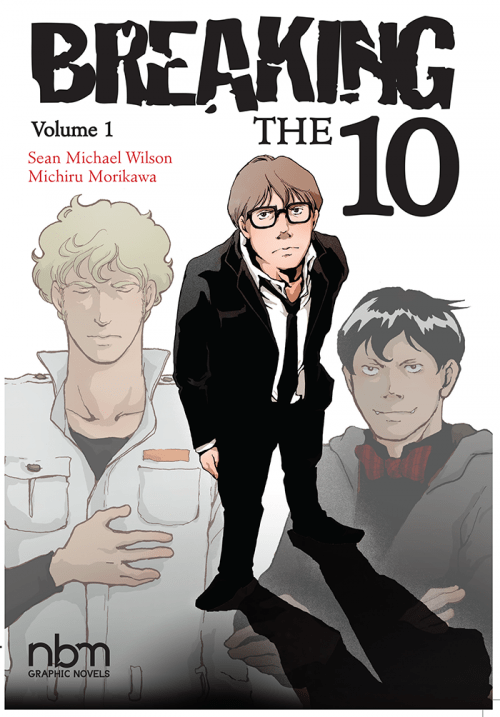 This graphic novel biography seeks to understand the eccentric personality behind the persona. Who is the mysterious Glenn Gould? 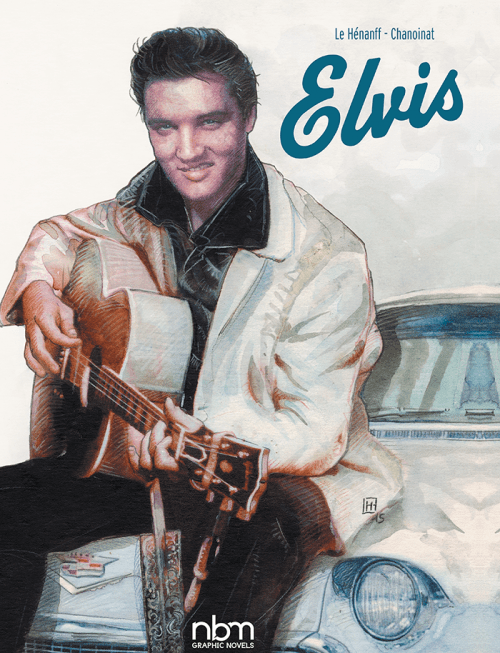 Why did he abruptly end his career as a performing musician? Why did he become one of the very first of his peers to disappear from the public eye like J.D. Salinger? Sandrine Revel delves into the life of Gould with hand painted illustrations and the viewpoint of an adoring fan. 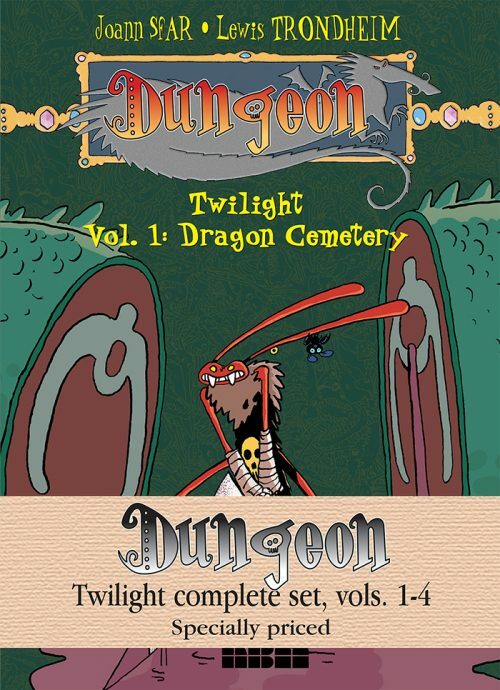 The great saga detailing the end of Dungeon has come to a close. All four books are featured here in one specially priced set. The planet Terra Amata, on which Dungeon resides, has stopped turning. On one side, total darkness and absolute coldness; on the other, a searing desert and eternal day. The survivors live on a thin slice of earth where day and night meet. A territory known as Twilight. Welcome to the third facet of the Dungeon world and its dark downfall. Marvin is blind but still dangerous and Herbert the Duck has become the darkest of Lords. Francisco, a wounded, despairing sixteen-year-old Republican guard in the Spanish Civil War, is trying to flee to freedom by crossing the French border. 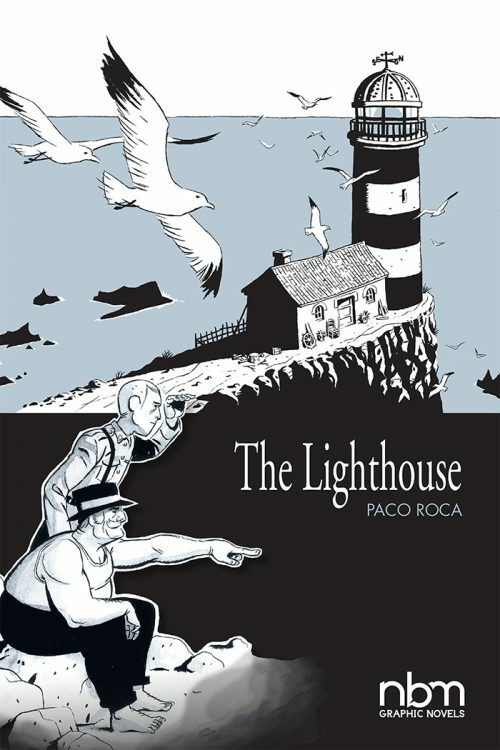 In his escape, he encounters an old remote lighthouse, far from the warring factions. He is granted shelter by Telmo, the aging operator of the lighthouse. As Francisco recuperates, Telmo’s tales of epic adventurers who sailed the lost seas and discovered worlds unknown reignite the spark of life in the young soldier. 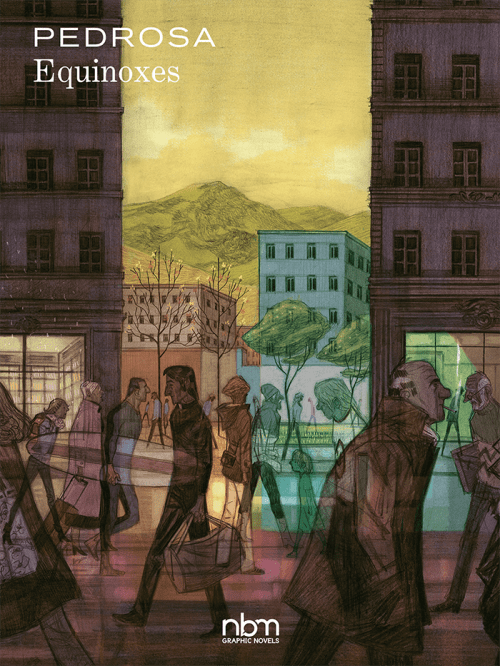 By one of the most brilliant new talents in comic art in Spain, author of the world-wide bestseller Wrinkles. Witness the most controversial and famous true crime cases that shook the 20th century! These 240 pages retell the love affair that ended the life of prominent architect Stanford White- then dubbed the crime of the century, the New Orleans’ Axe-Man and his gruesome killing spree, and the abduction (and resulting media circus) of aviator Charles Lindbergh’s son- all collected in a handsome quarter-bound omnibus. 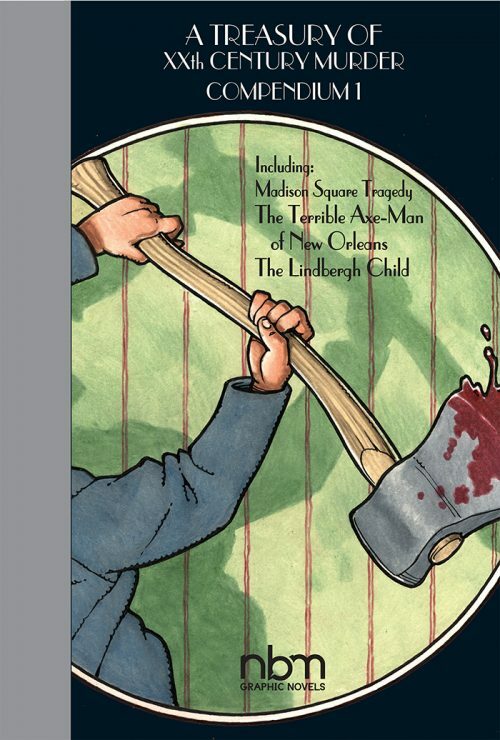 These carefully researched presentations of true crime stories, each including bibliographies of research sources, present true facts about famous murders in an entertaining fashion.